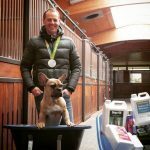 We are writing to inform you that having established ourselves as a reputable, popular and recognisable brand, Our 2017 objective is now to supply trade to garden centres, tack shops and any stockists of Equestrian items . We have identified the hike in demand and would like to build trade relations with other independent businesses. 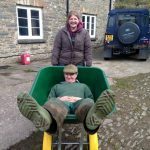 Our business started as a small family run operation and as the Wheelbarrows Direct family we have generated substantial goodwill in the equine community. 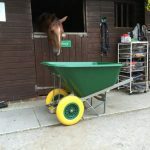 Our Facebook page has over 14,000 equestrian followers and our products are literally supplied to various trades from construction to landscaping. Ideal for the small business not looking to risk locking their capital in stock or purchasing bulk which can be difficult to store. We offer a structured scheme whereby as a family business we would contact you once per week to see if the products are selling and provide you with stock based on your demands. 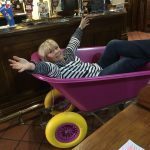 Furthermore, you would only pay for those wheelbarrows which are sold and we would deduct your margin from the invoice so you can capitalize immediately. 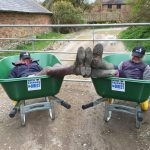 All of our wheelbarrows are delivered fully assembled and our emphasis from day one has been quality and service and this has helped us to grow rapidly. 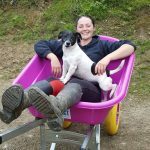 As a family run operation we are looking to build on our network and work with like minded people so are only looking to supply small groups or standalone businesses. There is a very loyal following for our products as the polypropylene tub is U.V. Protected and you will see them in most yards, stables or being used for mucking. We are able to offer various packages from S.O.R to bulk discounting and would love the opportunity to set up an initial call or meeting with yourselves. Please call me (Bill!) on 01276 31788 if you would like to chat more.